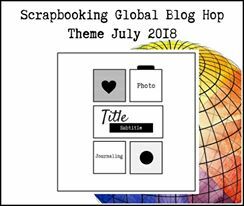 Hello and welcome to the Scrapbooking Global Blog Hop July 2018! If you are visiting my blog for the first time, thank you for stopping in. Make sure to visit the rest of the talented artists on this hop - the links are listed at the end of this post. It has been a long while since I've shared a scrapbook page here. Many of you probably don't know this, but long before I was a card maker, I made scrapbooks. 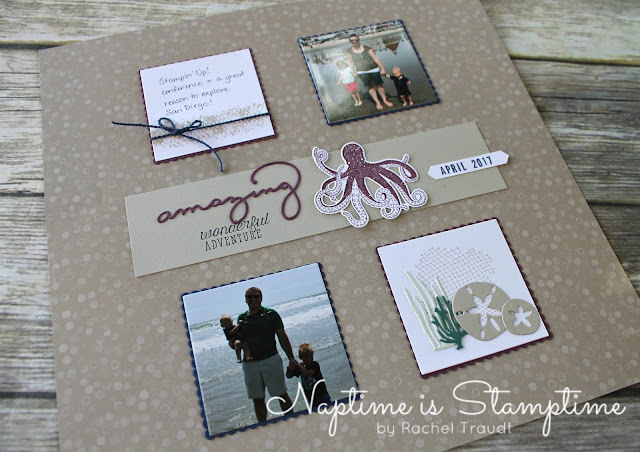 I did not have all of the wonderful Stampin' Up! products I have now, and I'm a little embarrassed to look back on some of those pages! But they were created with love, and I think that is the whole point of scrapbooking, to preserve the memories of those we love for years to come. The Tranquil Textures suite paired beautifully with my beach photos! I stuck with the color scheme of the Designer Series Paper for the most part - Crumb Cake, Night of Navy, Fresh Fig, and a little bit of Soft Sea Foam, Tranquil Tide, and Sahara Sand. I masked off "Have a" from the "wonderful adventure" sentiment, and added in the "amazing" die cut from the Celebrate You Thinlits. 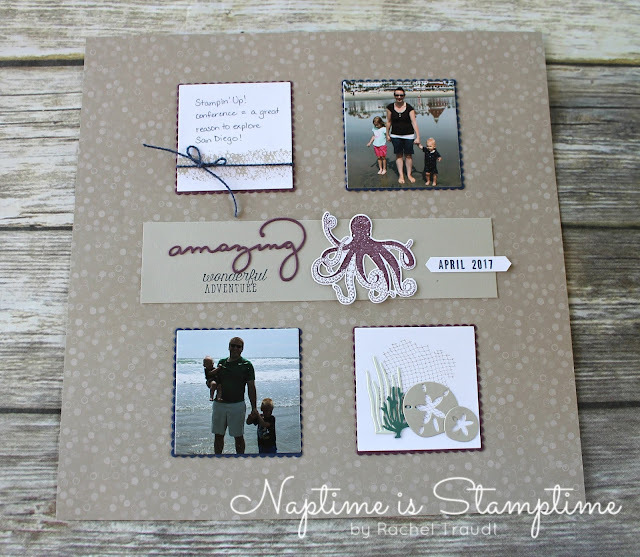 The month and year are stamped using the Make a Difference stamp set, which is great for scrapbooking! You can create your own phrases, dates, and more, plus the set includes two different fonts. It is one of my favorites! I can't wait to see what everyone else has done with this sketch! Visit Jackie Lawless from the UK next by clicking the button below. Beautiful..clean and simple and I like it! Thanks so much for hopping with us this month, Rachel! I totally relate to your story. I was a scrapper before finding Stampin' Up! and starting with cards as well but looking back some are just .. well... not what I would do now :) But I think that shows our growth as persons as well as artists. This paper works so well for those photos! It's a lovely layout. Rachel, I am so glad that you have gotten back into Scrapbooking <3 Yes I can relate to some of my very first pages that I created when I started... BUT that is what it is all about the journey of creating memories for the family to reminisce about when they see these photos again. 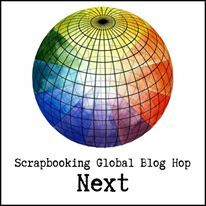 Perfect colour choice for your photos <3 Thank you for joining us at the first Blog Hop. Rachel, you've done a lovely job using the sketch and making it feel like a sampler! And you're so right -- it's about preserving the memories. Thanks for hopping with us! A beautiful & clean LO! With great memories..
Great choice of background DSP - looks just like sand! lovely page! You have captured the moment and memories in such a simple and sweet page, thanks for sharing!